We are pleased to announce that we are piloting a new Premium Access reservations feature, which rewards frequent OpenTable diners with special access to in-demand reservations set aside by participating restaurants especially for them. 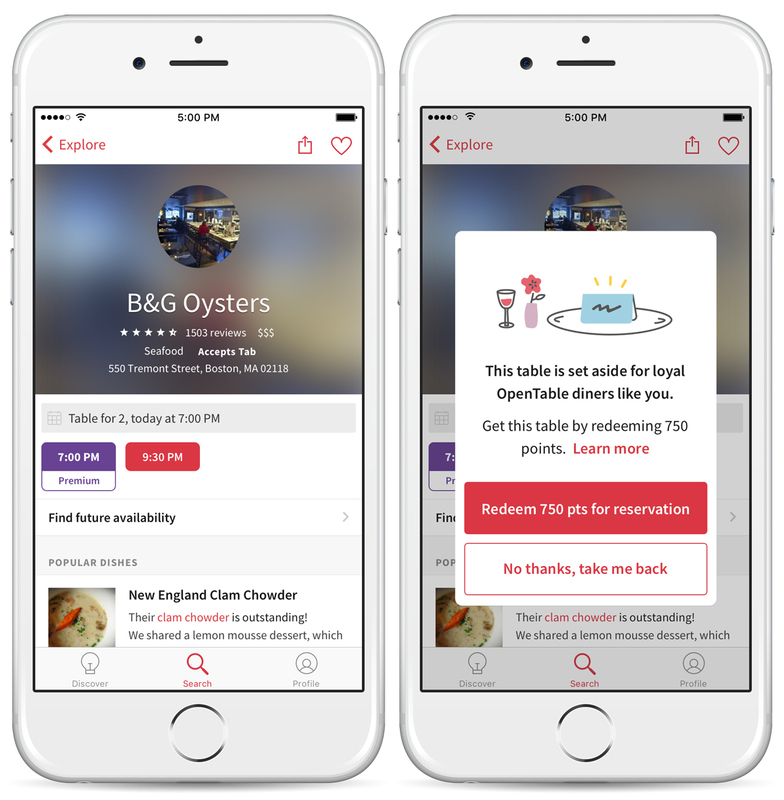 The new feature allows restaurants to fill seats with frequent, high-value diners while giving loyal OpenTable users access to some of Boston’s hottest tables using their OpenTable Dining Rewards Points. You can experience the new feature at participating restaurants by signing into your OpenTable account via the mobile app, choose the Boston area, look for the “Premium Access” category on the home screen and select the restaurant where you would like to dine. If the restaurant’s standard reservations are fully booked, diners with enough points will be able to view and book Premium Access reservations. To learn more about Premium Access reservations and view the current list of participating Boston restaurants, go here. Restaurants interested in learning more about the benefits of the new feature can visit The OpenTable Open for Business Blog here. Share your experiences with Premium Access reservations in Boston with us here or over on Facebook, G+, Instagram, Pinterest, or Twitter.